When school lets out and summer begins, parents start sweating. What will kids do all day long? How will they stay engaged? Will they lose all there knowledge from the school year? Will they say that they are "bored"? ROBOTS-4-U Summer Camps are a great way to keep the kids engaged all summer long. Right now, ROBOTS-4-U Summer Camps is enrolling students. You can save 60% Off with Code: TEX1660M15 www.ROBOTS-4-U.com This discount expires 3/31. Campers having a BLAST, while learning and playing in a dynamic environment. Learning about Robotics and Science, in an independent and exciting way! In this camp, kids can learn about ROBOTICS, Dynamic Art, BATTLE ROBOTS and DRONES, and more. The camp brings together S.T.E.A.M. education: Science, Technology, Engineering, Art and Math. These camps are designed for both boys and girls ages 7 to 14. The camps run 5 days. Each class is a ratio of 1 instructor to 16 participants. The times are Monday to Friday Times: 9:00-11:30a.m. 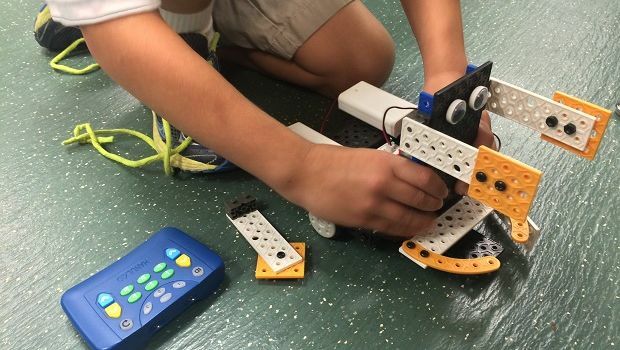 and 12:30-3:00 p.m. Each Camper Individually uses a ROBOTICS or DYNAMIC ART Kit. Robot kits do not go home with campers but are available for purchase. Don't miss your chance to join this camp. Disclosure: The writer may receive compensation for sharing this information.